Saint Luke’s Bishop Spencer Place opened its doors on December 6, 1995, to a handful of courageous residents who braved the winter snow to move into the newly-constructed Madison independent living building. These first residents were given a firm promise: Bishop Spencer Place would provide them with premier retirement living, a faith-based and family-oriented environment and a unique blend of service-rich hospitality, plus health and pastoral care for the duration of their lives. More than 20 years later, Bishop Spencer Place has grown – including the opening of the Jefferson building, which added 54 independent living apartment homes – and has developed into the warm community more than 135 residents call home. However, with all the changes that occur over a 20-year period, the promise given to the first residents remains firmly in place today – unchanged and a critical part of the Bishop Spencer Place mission. Our volunteer board of directors is composed of dedicated Kansas City leaders who uphold our community’s values and work hard on our residents’ behalf. Being part of Saint Luke’s Health System, as well as our connection with the Episcopal Diocese of West Missouri, contribute to our governance, financial stability, and mission. Together with our management team and staff, all are dedicated to making Bishop Spencer Place a friendly senior living community with the strength to support residents – mind, body, and spirit. Saint Luke’s Bishop Spencer Place is a faith-based, not-for-profit, life plan community committed to providing exceptional independent living and senior health services in a resident-focused environment. We enhance the quality of life and daily experiences for seniors and their families by coordinating care and enabling an active lifestyle. We are dedicated to improving the physical, mental, and spiritual health of our residents. 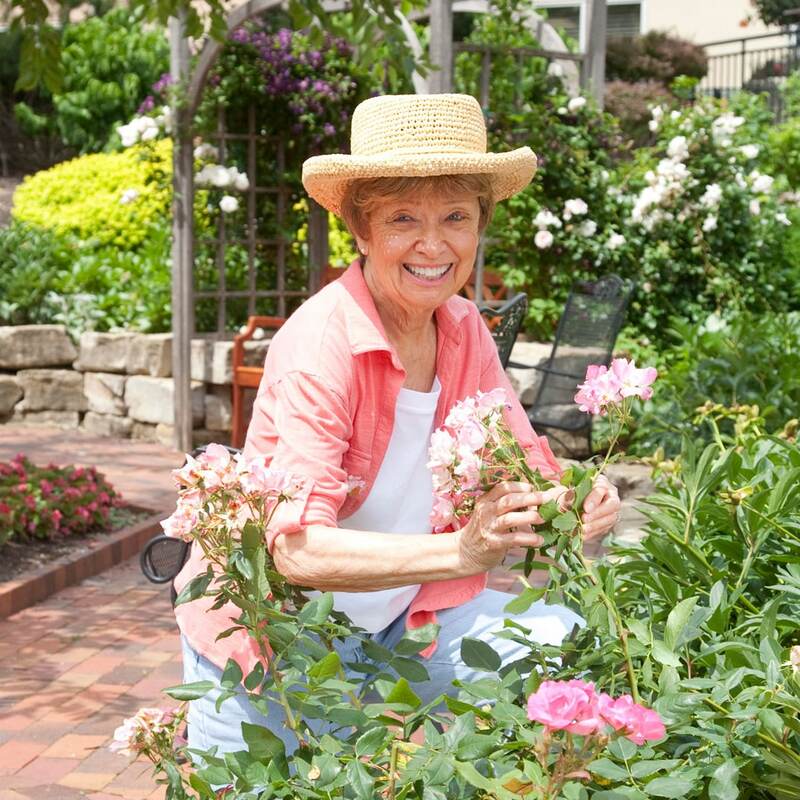 The best place for resident-directed retirement living where residents can embrace their aging journey through exceptional health care, spiritual support, and an active and intellectually-stimulating lifestyle. Bishop Robert Nelson Spencer served the Diocese of West Missouri during the years of the Great Depression and World War II. During his Episcopate, there was discussion of establishing an “Episcopal Home”; then in 1965, under the Episcopate of Bishop Edward Welles, gifts were received from the estates of parishioners Lora Hersey Bacharach and Fannie S. Campbell to begin funding the community. In April 1975, the first meeting of the “Episcopal Retirement Home Planning Committee” was held under the Episcopate of Bishop Arthur Vogel, and became an incorporated entity. That December, Bishop Spencer’s daughter, Kathleen Spencer DeYong, gave approval of the proposed project name “Bishop Spencer Home,” in honor of her father. Planning and development of the community truly accelerated when Bishop John C. Buchanan began his Episcopate in 1989. As Chairman of the Board of Directors, Bishop Buchanan led a five-year effort through property acquisition, tax-exempt bond financing, design and construction. In 1993, 6.5 acres of land was purchased from J.E. Dunn Construction Company, and in 1994, under Bishop Buchanan’s leadership, Saint Luke’s Hospital contributed funds to Bishop Spencer Place which were used for site acquisition, along with previous gifts from Rachel L. Davies and William T. Kemper, Jr.
We’re proud to have been home to so many wonderful residents since opening our doors in December 1995. With a strong history of service and accomplishment, we look forward to being the retirement destination of choice in Kansas City for years to come. A wonderful book was published in 2009 that describes the history of Bishop Spencer Place. Limited copies are available for $25 by calling 816.595.5015.